The Macleod & MacCallum North Caledonian League is back this weekend, after the recent wintery conditions decimated last weekend’s fixture card, offering up another four exciting contests with big matches at both end of the table. In the days early kick off, Bunillidh Thistle travel to Orkney hoping to record only their second win of the 2018/19 League campaign and end a run of recent defeats in all competitions. Charlie Always Orkney side will themselves want to get back to winning ways after defeat last time out against League leaders Invergordon as they look to get their league defence back on track. It was an entertaining 4-4 draw last time St Duthus and Thurso met. Thurso welcome St Duthus to the Dammies this weekend hoping to secure back to back League wins for the first time this season. Stevie Reid’s side currently find themselves uncharacteristically at the wrong of the table and will see Saturdays encounter as a tough but winnable game as they look to pull away from thier Caitness rivals in 8th. The men from Tain are the leagues inform side having picked up maximum points from 6 of their last 9 outings. Stuart Ross’s side will want to get the winning feeling back after a last-minute strike denied them all 3 points against Golpsie Sutherland last time out. Golspie Sutherland and Inverness Athletic will lock horns on Saturday at King George V Park, with both sides looking for the points that will keep them in the title race. 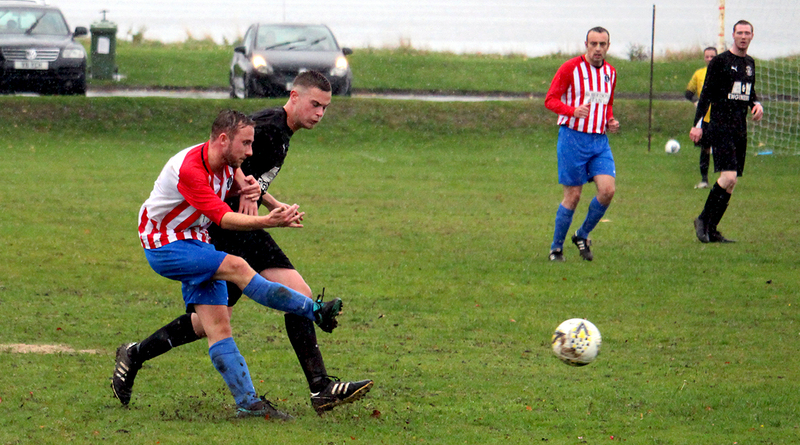 Andrew Banks side needed a late strike to secure a point last time out against St Duthus and will be aiming for a better result this weekend to keep the pressure on League leaders Invergordon. Equally Shane Carlings side will be aiming to secure all 3 points as they look to bounce back after a horror showing in the second half against Halkirk United last time out when they threw away a 4-goal lead. Darran Gollar will want to add to his impressive goal tally so far this season this weekend. Table toppers Invergordon host Alness United knowing that a win would put them firmly in the driving seat for the League title. Gary Campbell’s side will be on a high after victory last time out over in Orkney but will know that this will be a real test of their title credentials having already suffered defeat this season at the hands of Kraig Vass’s side. United come into the game knowing that a win would fire them right back into the mix for the League title.